Winning these bags is the perfect way to celebrate the holidays. 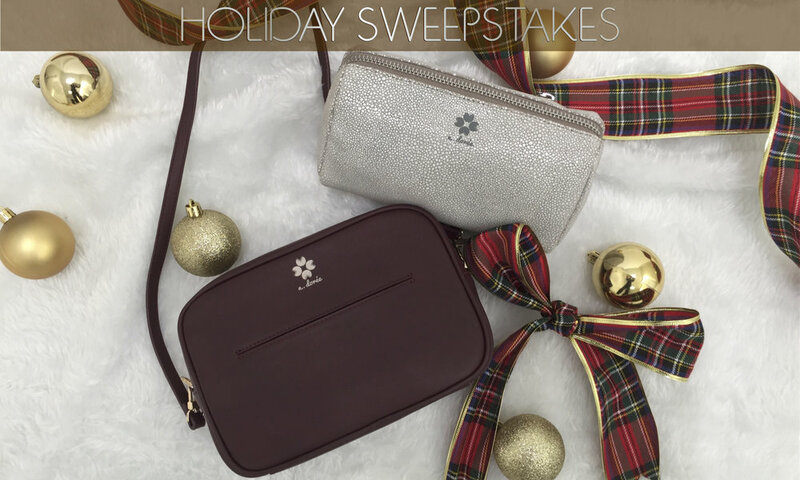 The lucky winner will receive our Elodie Crossbody Bag in burgundy and our Fay Makeup Case in gray. Follow our Instagram @adoreeofficial to enter for your chance to win. Find the matching picture on our Instagram for instructions to enter. Entries will be accepted until 11:59am PST Wednesday, December 13th, 2017. Winner will be notified and announced between December 14-15th, 2017. Update: Thank you to all who have entered. We have a winner announced on our Instagram post. Happy Holidays! Stay tuned on our Instagram for more upcoming giveaways.